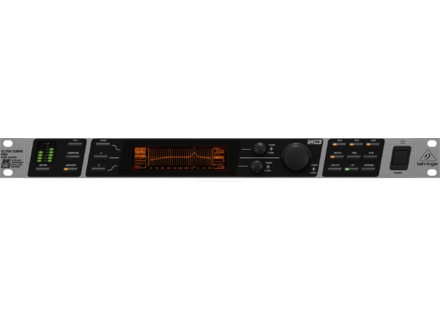 Ultracurve Pro DEQ2496, Parametric EQ from Behringer. Many parameters and possibilities. Be patient and read the user's manual so you understand how it works. The display menus and pages are well conceived!! I find it's really a good device considering the price!! It enhances the sound of my keyboards and racks (I gave rediscovered my Roland JD990 and JV2080!!). It's stunning!! Be careful with the compressor and avoid extreme settings! In spite of this, everything is great considering the price!! I think it's a good tool live and even in the studio. mirado.rabearintsoa's review (This content has been automatically translated from French)" My processor does not respond within a few minutes"
I use my ULTRACURVE recent months. After a few minutes of settings, it works nickel. But when I let him walk for 15 minutes it begins to stop responding. The Left channel nothing comes out and no button works except the FSA. I switch off and on again, but I like it. I have to wait for hours for it to walk again again. I saw in the net of updates, how it's done? And one last question, without measurement microphone autoéqual Is the possible? Anonymous 's review (This content has been automatically translated from French)" The versatility"
Essential material, DCX2496 renders multiple services, equalizer, compressor, limiter, anti feedback, analyze converter ... the list is long. At first, ergonomics may seem confusing, but after a period of discovery, in reality controls are easy to access and the display is clear and well organized, given the size of the box. For well maitiser, must already know what we will do many of these functions. 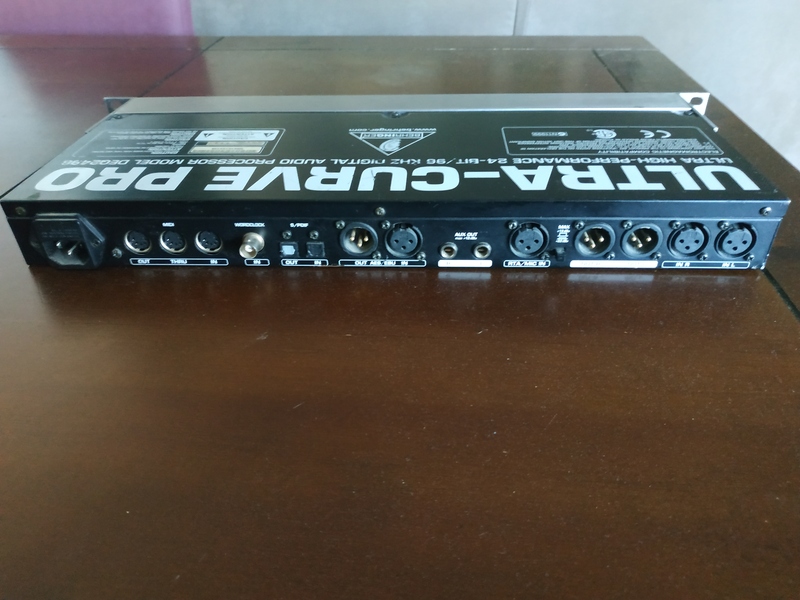 Many functions in a box 1 U is an achievement, especially at this price. The overall quality of the functions is not critical for me. Used AES3 I freed and successive DAC, its losses, its distortions and background noise to pass. Functions cover almost all needs of sound processing. The record is worthy of higher-end brands, more expensive, not necessarily better. Sibere's review (This content has been automatically translated from French)" A veritable Swiss Army knife of sound!" View previous posts and the characteristics of the device. I use it in analog I / O between my mixer and amplifier. SNR of more than 110dB. If only Behringer PSU made a quieter, the SNR would surely be even lower since 24 bits/96KHz which is capable beast. The manual was not provided. I downloaded the Behringer site. I do not have any particular problem for use. I had read how to use it on different forums that deal with the DEQ2496. No alteration of the observed. As it remains below 0.5 / 1db peak of the THD is very low. self EQ is stunning and allows to linearize the response of the speaker and to adapt them to the listening room. FBD neutralises the resonance frequency. The top!